In the first round of Brazil’s general elections, which took place on Sunday, October 7, Jair Bolsonaro, of the Social Liberal Party or PSL, an extreme right candidate with fascist leanings, came shockingly close to winning the presidency of this country of 208 million people, the fifth largest country in the world. There will be a runoff between him and the runner-up, Workers Party (Partido dos Trabalhadores, or PT) candidate Fernando Haddad, on October 28, which is less than three weeks away. The question now is whether Haddad can win over enough people who voted for other candidates to squeak through to victory in the second round. Voting in Brazil is obligatory for all citizens from 18 to 70 years of age, so there is not a big group of stay-at-homes to mobilize, and the turnout was 79.7 percent. 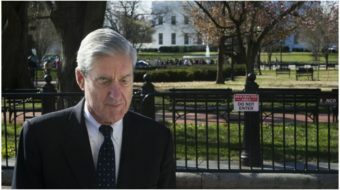 It is an uphill fight, but the stakes could not be higher. Haddad was picked to be the PT’s candidate after the extremely popular ex-president, Luiz Inácio “Lula” da Silva, was barred from running because of a conviction for corruption and money laundering, which he is appealing. His vice presidential running mate is Manuela d’Avila, a former legislator, from the Communist Party of Brazil (Partido Comunista do Brasil, or PCdoB). Haddad, the former mayor of São Paulo, had been little known at the outset, but the idea was that his association with Lula would bring his polling numbers up over the ensuing weeks. This happened to some extent, but not enough, nor fast enough. When the votes were counted, Bolsonaro had carried 16 of Brazil’s 27 states plus the federal district around the capital, Brasilia, with a total of more than 49 million votes, or 46 percent. Haddad had carried nine states and got more than 31 million votes, or 29.3 percent of the presidential vote. The rest of the vote was split among eleven candidates from the left, right, and center. Third place was taken by Ciro Gomes of the leftish Democratic Labor Party (Partido Democrático Trabalhista), with 12.5 percent. Gomes has already indicated that he will support Haddad on October 28. Far behind, with 4.8 percent of the vote, is Gerardo Alckmin of the Brazilian Social Democratic Party (Partido da Social Democracia Brasileira, or PSDB), which, despite its name, is on the political right. In fifth place, with 2.5 percent, was João Amoêdo, of the New Party (NOVO), another right-wing pro-business party. Henrique Meirelles, of the once powerful Brazilian Democratic Movement Party (Movimento Democrático Brasileiro, or MDB), to which the current president, Michel Temer, belongs, got a pitiful 1.2 percent of the vote, reflecting the degree to which the huge level of corruption in Brazilian politics, and especially in Temer’s government, has antagonized the electorate. Temer had originally planned to run for re-election but had handed over the baton to Meirelles in the hope that a “new face” might give the MDB better chances, but it didn’t work. The vote totals of all the remaining candidates, from left, right, and center were minuscule. None got more than 1.3 percent. 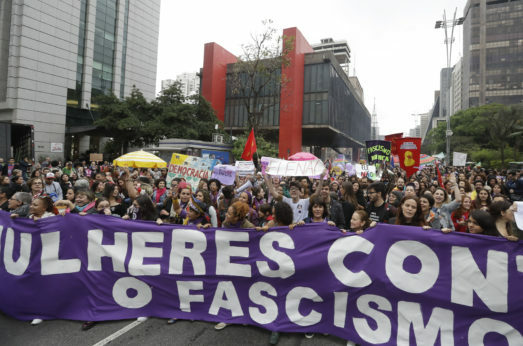 Why did the electorate give nearly half its vote to a right-wing extremist ticket, after voting center and left in many previous election cycles, and after big mobilizations in the streets against Bolsonaro? The corruption scandals of the last few years have been grotesque and have tarnished the reputations of all the major parties, but Bolsonaro may have been seen by many as “clean” or free of corruption. Likewise, the rate of violent crime has been high, and in Brazil, as elsewhere such situations sometimes favor candidates who offer tough, military-like anti-crime measures. There also had been a recent assassination attempt against Bolsonaro, which appeared to have helped him to some extent. Bolsonaro’s statements, and especially those of his vice presidential running mate, General Hamilton Mourão, have been very extreme, including sexist, homophobic, racist, and anti-democratic themes. 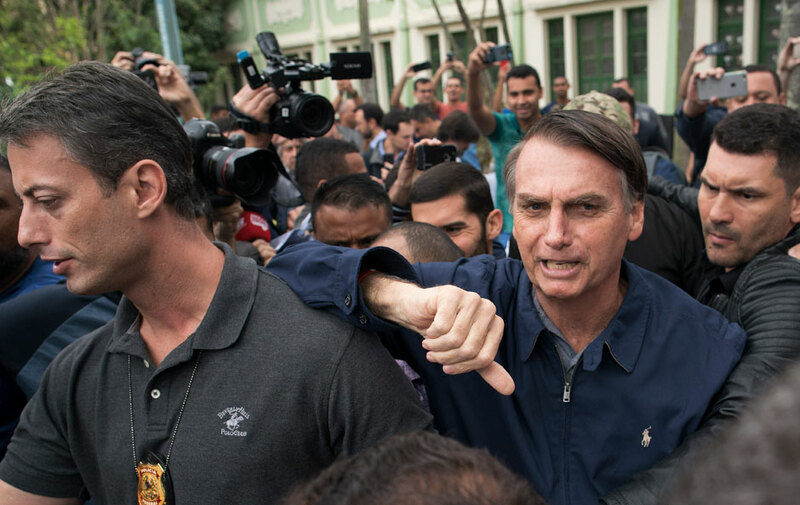 After the election, Bolsonaro refused to back away from his hard-right positions. Interviewed in the media, he said he was not going to transform himself into a “peace and love” candidate to gain votes on October 28. 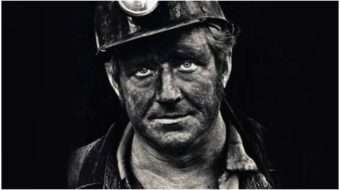 He added that he would go easy on businesses which have been accused of practicing de facto slavery in the way they treat their workers, and stop the practice of confiscating their assets. Bolsonaro has also made clear that he will have a more favorable relationship with the Donald Trump administration. If there is some slight consolation for the Brazilian left, it lies in the fact that, although the PT lost thirteen seats, it is still the largest single party in the 513-member Chamber of Deputies, the lower house of the Brazilian Congress, with a total of 56. The allied PCdoB lost one seat and retains nine. But some of these losses were made up for by gains by other parties of the left. On the right, Bolsonaro’s Social Liberal Party swept ahead, going from one seat to 52, but other parties on the right, such as the PSDB and the MDB, suffered heavy losses, more than what the Bolsonaro party picked up. In the 81-seat Senate, the PT lost half its seats, ending up with six. Bolsonaro’s PSL entered the Senate for the first time, winning four seats. As in the Chamber, the traditional right lost heavily. In governorships, the PCdoB’s Flávio Dino was handily re-elected in the State of Maranhão with 59.29 percent of the vote. 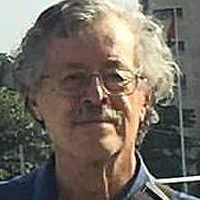 João Azevêdo, candidate of the left-wing Brazilian Socialist Party, also romped to a victory in the state of Paraíba, with 58.18 percent of the vote. The state of Ceará was a major bright spot for the PT, whose candidate for governor, Camilo Santana, crushed all opposition with nearly 80 percent of the vote. Likewise in Bahia, the PT’s candidate Rui Costa triumphed with 75.5 percent. In the other state governorships, either the results have not yet been announced, or will go to a runoff. At any rate, the stakes on October 28 could not be higher, not only for Brazil but for the whole of Latin America and beyond. A Bolsonaro-Mourão victory would be catastrophic for Brazilian working class, poor, women, Afro-Brazilians, indigenous Brazilians, LGBT people, and the environment, but it would also be a threat to left-ruled neighboring countries such as Venezuela, Bolivia, and Uruguay. 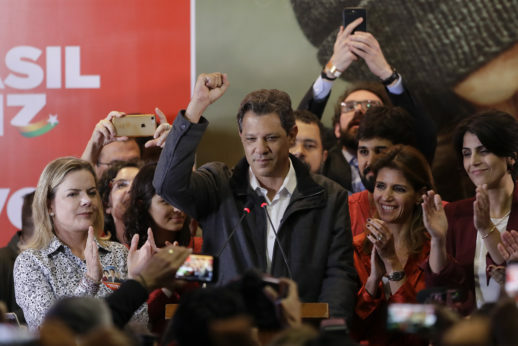 A victory for the PT-Communist ticket of Haddad and d’Avila, however, would be a tonic for the Latin American left, which has been on the defensive in recent years.